Michael Rosen Says… is my little corner of the blogosphere. Thank you for taking the time to visit. I invite you to subscribe so that you will receive notification when I update the blog, usually once per week. Michael Rosen Says… will focus primarily on issues related to civil society. Specifically, I’ll comment on issues related to fundraising, nonprofit management, and philanthropy. From time to time, I’ll also comment on current events, ethics, and business development. My goal is to be informative, helpful, and constructively provocative. In all cases, I encourage your feedback, and hope that you will share your wisdom and insights. 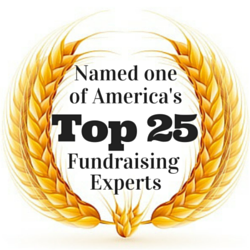 My passion for fundraising and philanthropy began when I was eight years old. You see, I wanted my parents to buy me some comic books. My mother said that she would get me any ‘‘real’’ book I wanted but, if I wanted comic books, I would have to spend my allowance. Well, in those days, an allowance was not an entitlement; I had to earn it by doing household chores. Sadly, I was already at my maximum earning capacity. And, I had no more money for the latest edition of Superman. At the time, our local newspaper operated a fund to send ‘‘poor, inner-city’’ kids to summer recreational camp. I grew up in the suburbs. However, my cousin grew up in the big city. I knew how miserable summertime in the city could be for a kid. I knew how good I had it, even with our meager working-class lifestyle. I wanted other kids to enjoy the clean air and open spaces that I enjoyed. So, I took my coffee can with half of my earnings and marched into that local newsroom. The editor was so moved that he had my picture taken and put me on the front page! My little eight-year-old ego swelled. I was inspired for each of the next several summers to run a front-yard fair for that summer camp fund. The only changes were that I gave 100 percent of the revenue to the charity and the event got bigger each year. It even inspired similar efforts in other neighborhoods. Even at eight years old, I instinctively knew to be donor-centered. Of course, I did not know that was what I was doing. But, I was doing it nevertheless. Throughout my professional fundraising career, I have purposely and routinely adopted a donor-centered orientation. Stephen F. Schatz, CFRE and I successfully employed donor-centered fundraising principles at Temple University in 1980, long before it was popular to do so. We felt compelled to expand and build on the model we created, and so we later co-founded The Development Center (originally known as Telefund Management, Inc.). We achieved our tremendous results, for clients across the nation, by remaining donor-centered. Today, I am President of ML Innovations, Inc., a fundraising and marketing consulting firm. 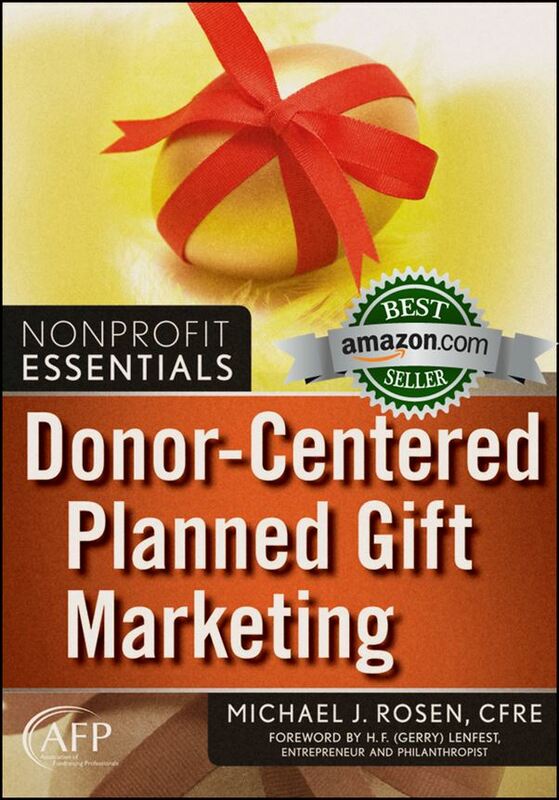 I am also the author of the bestselling, award-winning book Donor-Centered Planned Gift Marketing. the world,’’ which is incumbent upon each of us to incorporate into our everyday lives. Virtually all faiths advocate a similar concept of doing good works and helping those in need. All of us who serve the nonprofit community — whether as staff, volunteers, or donors — are doing something to improve the quality of life, now and into the future. We are repairing the world one small step at a time. Whether our organizations educate, entertain, inspire, heal, provide hope, feed, build, or work in numerous other ways, they make our communities, our country, and our world a better place. Together, I hope we will be able to do more to make a brighter future. Together, let us always work toward achieving increased success in our endeavors to repair the world and to show others a clear path to allow them to do the same. I look forward to the conversation. Finally, I invite you to click the link to learn more about ML Innovations. You can also click the link to visit The Nonprofit Bookstore (powered by Amazon) to find helpful and inspirational titles, including a list of books recommended by readers.